The music and King of Glory lyrics were written and performed by the Contemporary Christian band, Third Day. Published in 2000 by the Brentwood-Benson Music Publishing company, King of Glory was included on the Third Day album, Offerings: A Worship Album. 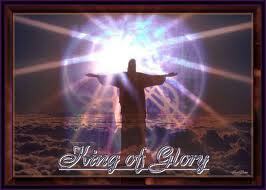 look inside King Of Glory This edition: Interactive Download. Christian; Pop; Praise & Worship. Piano/Vocal/Guitar (chords only). 4 pages. Published by Hal Leonard - Digital Sheet Music (HX.31885). look inside Chris Tomlin - Arriving Easy Guitar with Notes & Tab. Easy Guitar. Contemporary Christian. Softcover. With guitar tablature. 40 pages. Hal Leonard #702223. Published by Hal Leonard (HL.702223).